Another punishing but wonderful day in London…. | Which me am I today? Another punishing but wonderful day in London…. So after Tuesdays exhausting, but amazing day in London, I decided that I would be better off not doing any thinking yesterday……..as believe it or not……I was back on the silly o’clock train back down to London, but this time on my own….🙈……I can feel my daughters eyes rolling at this point…..
Me thinks the Tuesday media stuff must have been snuck in at the last minute as even I wouldn’t have given me to early starts to London in a row….🙄…. And I couldn’t cancel yesterday as I’d promised ages ago….. Anyway the best way to cope with this was simply not to think; I needed to hope that the paperwork out on the side had everything I needed…. ; I needed to ignore the protests of my body at 04.50 when the alarm went off and just get up without thinking and hope that my ‘automatic brain’ would get me ready for the taxi. It was a shock to the system to find a thick frost covering the world. The taxi man said his car told him it was minus 5 outside 😳😱 and the roads were icy😳……have I been transported back to winter😳? I was heading for Ealing in London to a Dementia Concern Away Day for staff, trustees and volunteers. 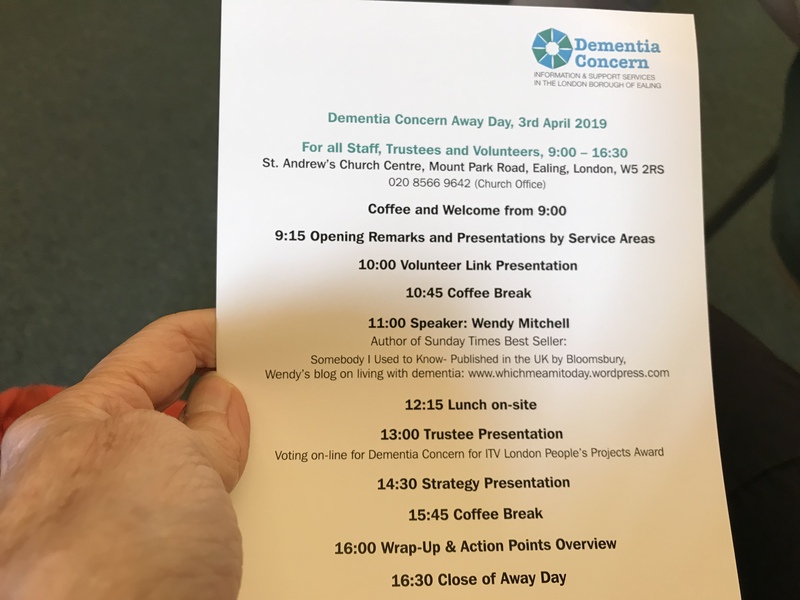 I’d been asked to speak at this ages ago by Albie Stadtmiller, CEO of Dementia Concern. It was the most glorious morning, white roof tops and misty haze and the most wonderful sunrise…..
Ealing is the 3rd most diverse borough in the UK, it has a big gap between rich and poor, there are large historical populations of Polish, Traveller and Asian populations. 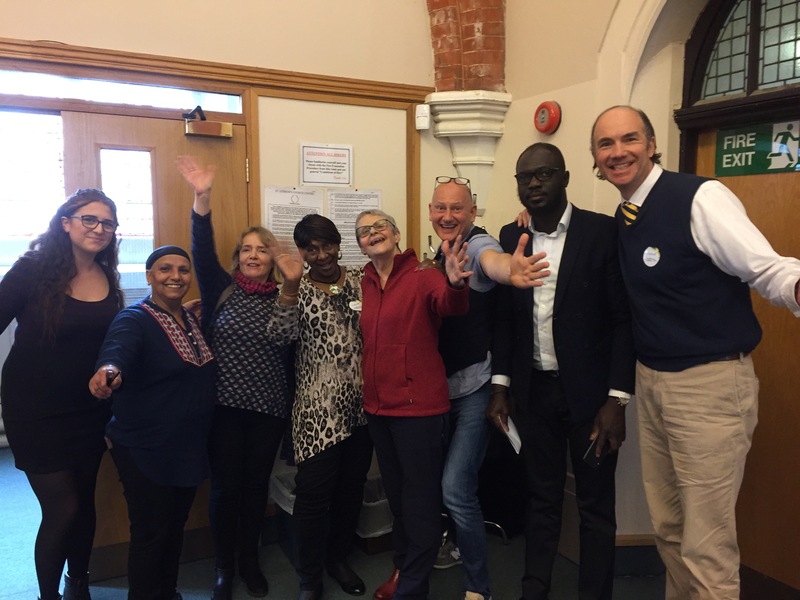 Since 1982 Dementia Concern have been providing information and support services for people with dementia and their carers in the London Borough of Ealing. They believe there are around 3000 people living with dementia in the borough yet, as is common nearly everywhere, only reach a small proportion of these. They are trying very hard to find ways to reach those who may not know of their existence, or who simply don’t know how to get help. It was a long taxi ride but thank goodness I did as I would never have found my way. I arrived to find it under way with the speakers – ‘Volunteer Link’ – just starting. 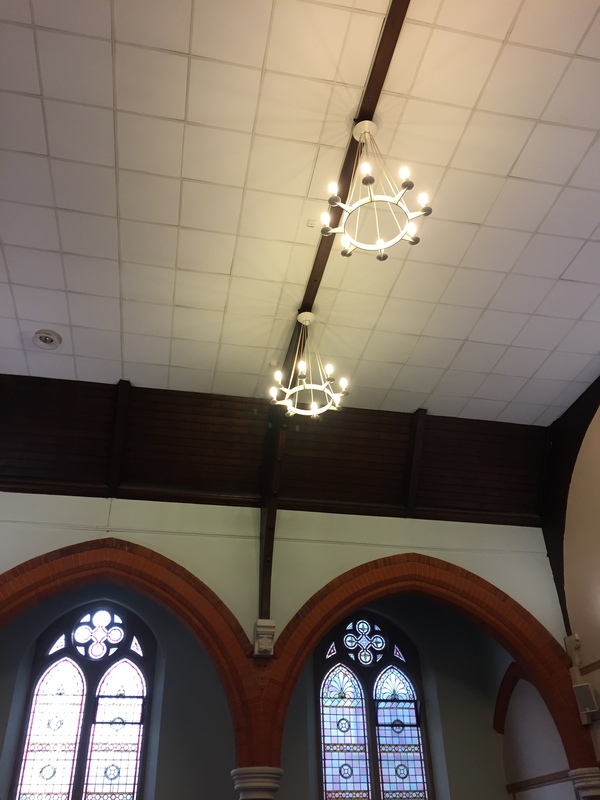 It was in the church centre which was a beautiful room. They were talking about working with volunteers and we heard from someone about what people get out of volunteering. She spoke of the differences between paid staff and volunteers. Theyr’e not contracted to turn up but often do so out of goodwill and desire. All in the audience were paid workers. Wonderful…….they often bring diversity that staff don’t. In this organisation most volunteers are in their 30’s, which I would never have imagined. The speaker said how retired people often had buckets lists, were working to an older age, and grandchild responsibilities. Don’t look upon volunteers as a ‘free resource’ – they should never been out of pocket – wonderful to hear 😍 (mmmmm, must ask for my taxi fare 🙄)and expectations should be abundantly clear. Albie paid me in cash for my train fare and village taxi, which was wonderful. I’ve never sat through a talk around volunteers and it was so interested to hear the pros and cons. Fascinating. I ended by reading a short piece from my book. I could see many light bulb moments on faces and notes being hastily written. They were very kind in giving me a standing ovation before I answered questions. Obviously I wasn’t typing so can’t remember what they asked but it was nice to see so many hands raised. I’d taken my small wheelie case full of books and they were sold in a couple of minutes which was so wonderful and meant I went back with an empty case! Bizarrely some people think I don’t pay for my books and simply make a profit 🤣, but I buy them like everyone else and then ask whatever I paid for them. I always sell them cheaper to students and people affected by dementia and sometimes even make a loss because of this, but hey ho, it means people actually get a chance to read my book. Someone took the money while I chatted to people and had piccies taken including this one…. After many people coming over to chat about anything and everything it was time for me to go and for them to have their lunch. Someone kindly gave me a lift back to the tube station and I was heading back home thankfully. I know I’ve said this many times before, but I really would prefer to die from exhaustion than dementia, and what a way to go………. I was so moved after reading this, I gave you a standing ovation all the way from New Mexico. It’s great to learn about Dementia Concerns, and the diverse area they serve. The idea of Dementia Cafes is very interesting. Hope they win! Thanks for all the info. Thanks Wendy. 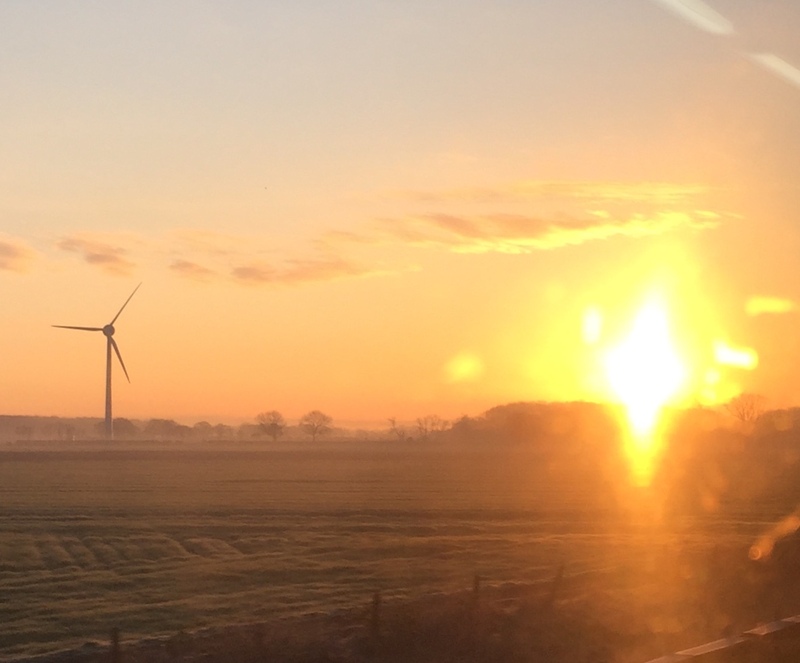 Your positive physical and verbal energy combine beautifully in encouraging me and, I suggest, your wider ‘audience’ to enjoy the sunshine in our days!